Beirut is one of those destinations where any travel reportage is deserving of a foreword, if nothing else than to address the first question that comes into your mind when one speaks of Lebanon – is it safe? There is obviously a city, and a country, trying to rebuild itself. There’s no doubt about that. Conflict is always subtly present, toeing the line to uncomfortable. Buildings, ravaged by civil war, still exist, dishevelled and leaning against their similarly bullet-strewn and bombarded neighbours. If you spend any time outside of your five-star hotel, and for foreign visitors it’s certainly advisable to stay in one of the bigger establishments, you will see more than a few armoured trucks heaving with men carrying semi-automatics or be stopped at an informal military check-point for your passport to be scrutinised. On the walls of the Armenian quarter are the promises of revenge against the Turkish, spray painted across shop-fronts in blood red. Demonstrations still takes place with regularity on Martyrs’ Square. All of that is true and undeniable. At the same time, and in stark contrast, is the slew of new builds like the Beirut Souks. Almost entirely envisioned by property developers Solidere, they play hosts to YSL and Burberry boutiques like any city aspiring to Monegasque luxury and cater to the Lebanese elite along with monied Arabs. The young and wealthy, while not oblivious to their unique situation, are at least ignoring it. If anything, their country’s troubled past has taught them to live for the moment. 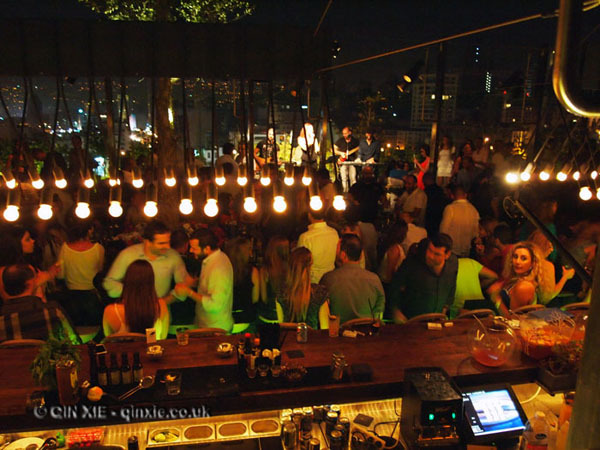 Happily, they party on until dawn in Beirut’s many super-sized nightclubs like White and Skybar, whose warehouse locations and open roofs allow them to pursue heady hedonism. Beach clubs too, like Iris Beach, are popular for sunbathing during the day and clubbing at night. The city isn’t without culture and there are plenty of emerging artists, designers and historical sites to get to grips with. Though to really get into the heart of the Lebanese culture, head north to Byblos, the oldest, continuously inhabited city in the world and start from there. It is in this direction that you will also begin to come across some of the country’s wine regions. If Lebanese wines interest you, it’s worth spending a few days exploring some of the country’s best wineries. Otherwise stop at the nearby Ixsir to find a mix of the old and modern – the original building is some three, four hundred years old with the new, eco-friendly winery underneath. 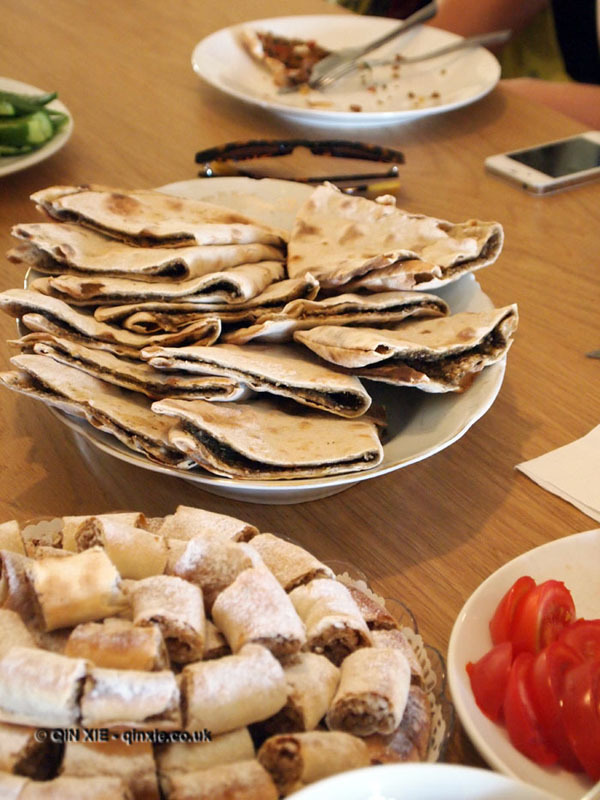 Like Ixsir, Beirut’s food scene is a similar mix of now and then. Many of the hotels will offer an international fare with French and Japanese being favourites. The still dewy La Petite Maison in Le Vendome Hotel is currently the place to be seen while Al Falamanki, a traditional style Lebanese café, is where you will find the locals playing backgammon and smoking shisha. To delve a little deeper into celebrated icons such as Hanna Mitri for ice cream and fields of fragrant za’atar, get in touch with Taste Lebanon for a tour. If you find yourself having over-indulged in the partying, the wines and the good food, head to the spa for some much needed respite. The Phoenicia offers aqua aerobics sessions with a personal trainer though you might need a deep tissue massage afterwards. And later, a cocktail awaits you at Iris rooftop bar where the sun sets over the corniche, preparing you for another night on the town, if you wish. Such is Beirut; amidst all the chaos is a place you can find much pleasure and where the young go for joie de vivre.